Molly: I have warm water with lemon slices. This is a morning ritual that helps to rev up metabolism while gently detoxifying the liver and aiding in digestion. 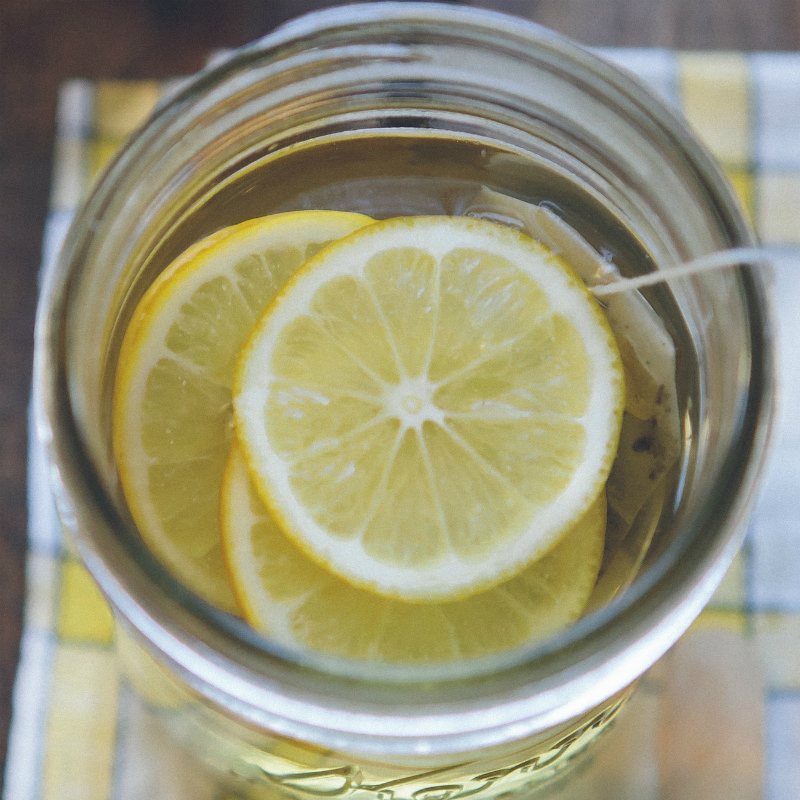 Lemon is also a great source of vitamin C — an immune booster. Leah: I drink 1 cup of iced coffee with soy milk. Coffee first thing in the morning is not optional for me! I need a cup to wake up while I read my email. I prefer the consistency of soy milk versus other milks in my coffee, plus it tends to be sweeter than nut milks so I don’t need to add sugar. 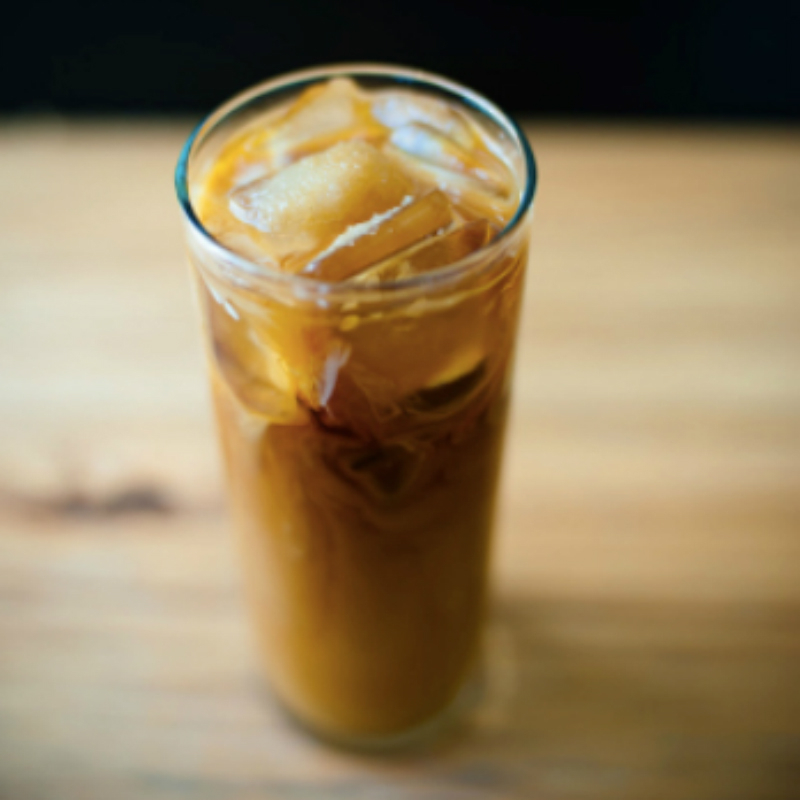 Molly: A handful of raw almonds (about 10), ½ cup blueberries, and iced coffee with soy milk. Before a morning workout, I like to eat something light then have my full breakfast afterward. Nuts are a powerful mix of fiber, healthy fat and protein. I try to have berries every day for the antioxidants and added fiber. I also make sure to finish at least 12 ounces of water before doing any cardio and of course, I need coffee to get going! Leah: My pre-workout snack is usually half of a frozen banana and a small handful of almonds. 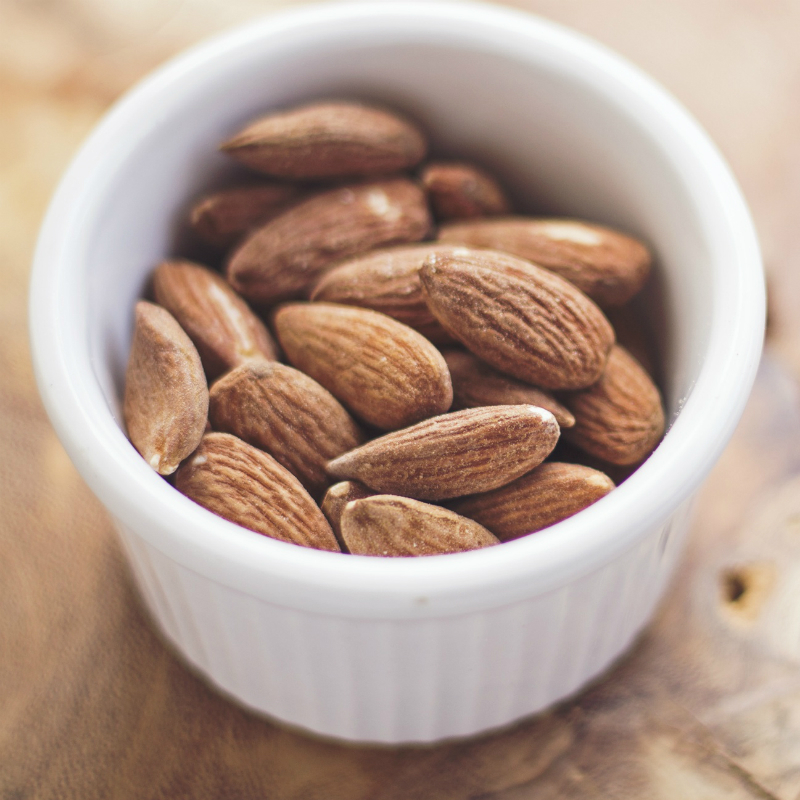 The almonds give me just enough protein to keep me going, and the banana is loaded with potassium, which helps to keep my muscles from cramping during a workout. Why a frozen banana? Honestly, I think it tastes like banana ice cream! This is my favorite way to get in greens while refueling with protein from the peanut butter, healthy fats from the chia seeds, and potassium from the banana. On the go? You can pick up the Tovita Smoothie from Darrow's NYC on 18th street between Park and Irving! Leah: I went with a Greek yogurt bowl with about 6 ounces of nonfat Greek yogurt, 1 cup of mixed berries, and about 2 teaspoons of coconut flakes. Sometimes I’ll throw in a handful of fiber cereal for the crunch factor. This is a complete breakfast for me because it combines protein from the Greek yogurt with fiber from the berries and healthy fat from the coconut flakes. I try to get as creative and colorful as possible with my salads to avoid getting bored. I mix up the veggies, choose a healthy fat from avocado, nuts, seeds, or olive oil dressing, and lean protein from eggs, beans, poultry, shrimp, salmon, or tofu. I added the fermented cabbage for a dose of healthy probiotics for intestinal health. 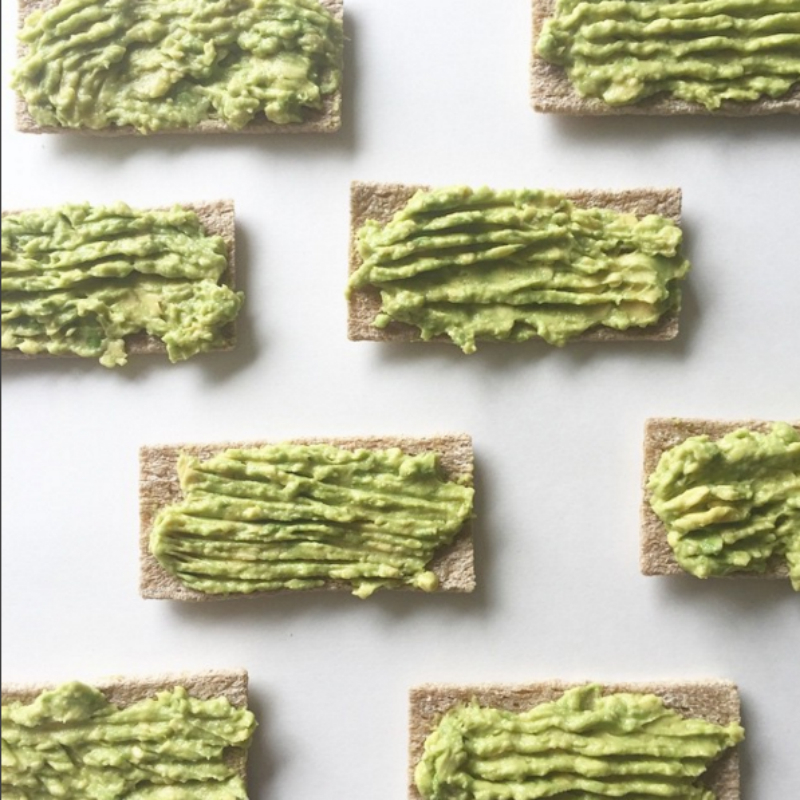 The fiber crackers with guacamole help keep me full throughout the afternoon. Leah: My go-to at home lunch is an omelet with 2 whole eggs, spinach, tomatoes, and onions with whole grain toast or Bavarian health bread. Eggs are a great source of complete protein, which is important for muscle repair post-workout. I love breakfast foods, so I sometimes have them for lunch too. I’ll also make a side of sautéed spinach with a touch of olive oil and apple cider vinegar. It’s simple and so delicious. 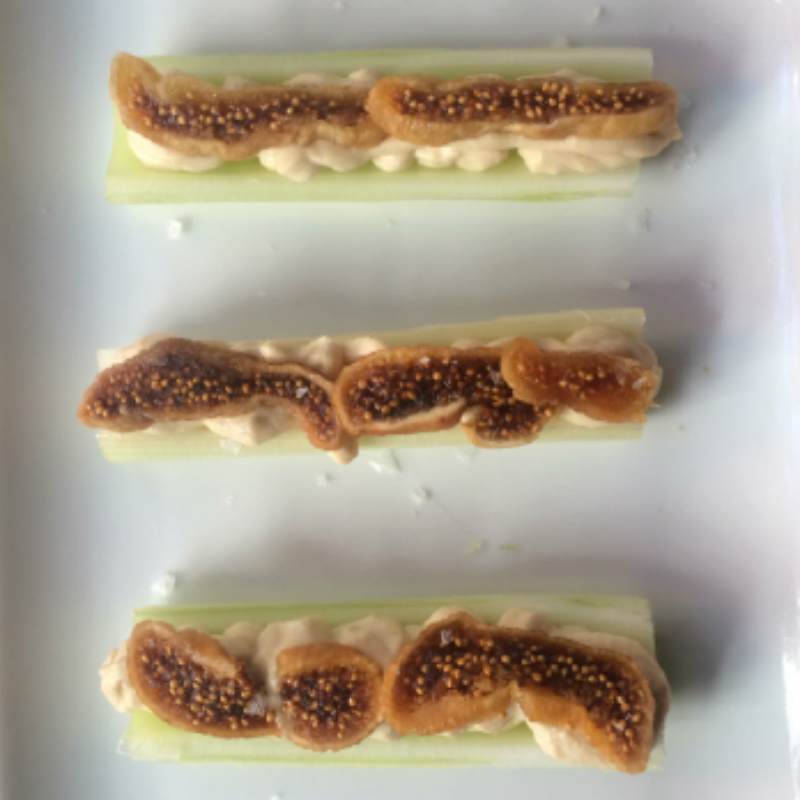 Molly: I got a little creative and cut up celery with hummus, dried figs, and a cup of green tea. Snacks should always contain a protein (hummus), fiber (dried figs), and remain under 200 calories. I love having tea in the afternoon for a boost of caffeine along with antioxidants. Leah: I’ll usually have piece of fruit, like a sliced apple with almond butter and cinnamon. Sometimes I’ll switch it up and slice a crispy yellow pepper (or two) and dip it in salsa. This is usually accompanied by a handful of Mary’s Gone crackers, also dipped in salsa. On any given night, there’s a good chance we are having dinner together. And there’s a really good chance we’re dining out. Dinners tend to begin with a glass of rose to unwind. We both love seafood, so Mermaid Inn in the West Village has become a favorite. 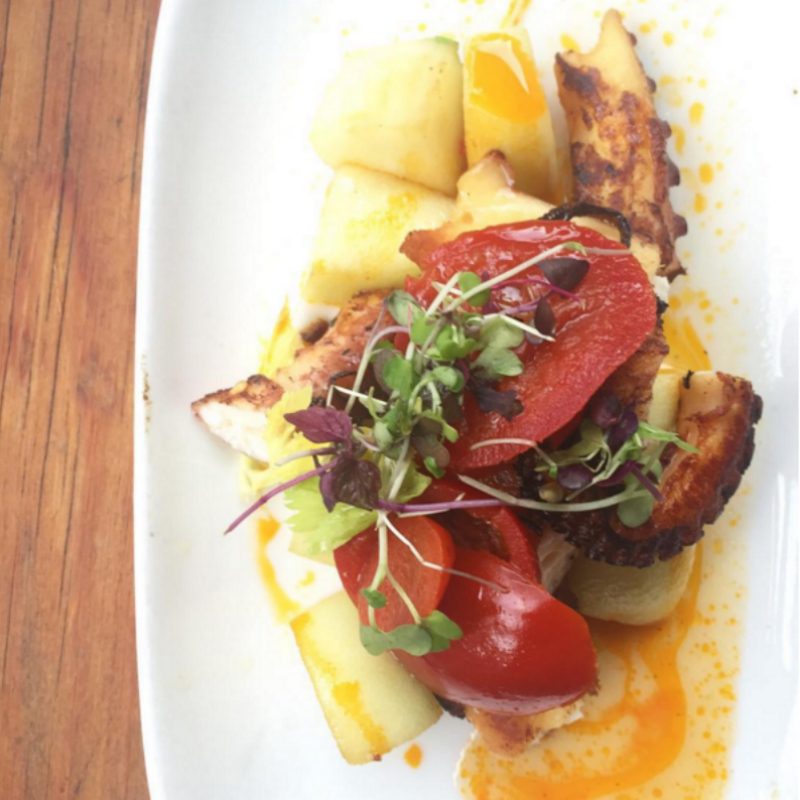 On this day we had a grilled octopus dish and yellowfin tuna crudo to start. For our mains, we split the roasted Atlantic salmon and sides of shishito peppers and sautéed kale. Molly: At home, I went for ½ cup of dark chocolate sorbet. I don’t do well with dairy so sorbet is one of my favorite desserts, especially on hot summer nights. There are very few nights that I don’t have some sort of chocolate after dinner. Leah: When I got home I went for two pieces of ALOHA dark chocolate and a green tea Mochi ice cream. I know it’s random, but it’s my favorite treat! So there you have it — an insider's look on how a nutritionist eats! 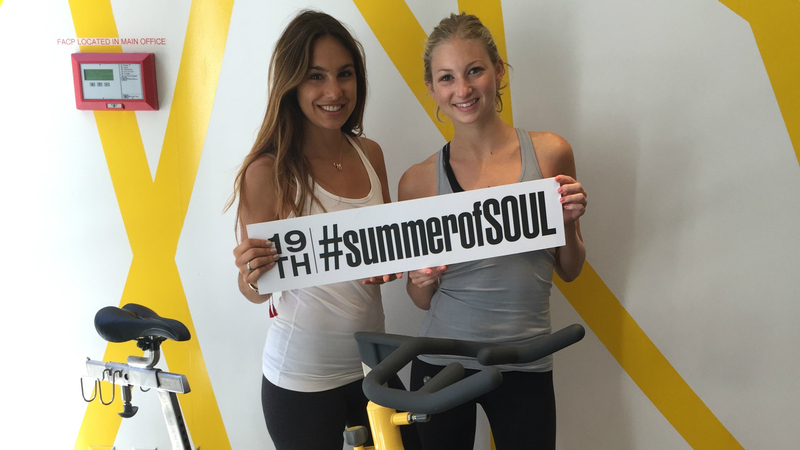 For more information on Tovita’s services, email info@tovitanutrition.com and look out for Leah and Molly in class at Soul and be sure to say hello!